This is the sixth movement of Mozart's Serenade No. 10 for winds in B flat major, K. 361/370a. In its original form, it is a serenade scored for thirteen instruments; twelve winds and string bass. 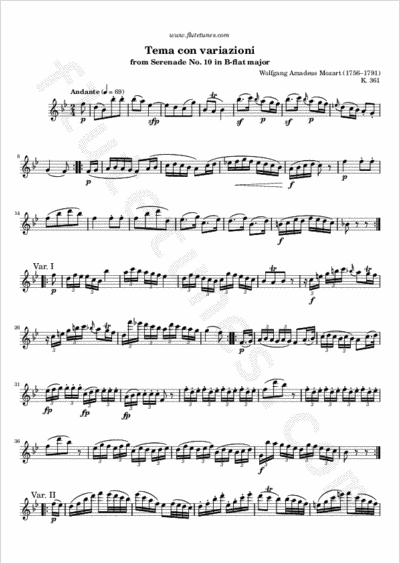 The piece was probably composed in 1781 or 1782, and is often known by the subtitle “Gran Partita”, though the title is a misspelling and not in Mozart's hand. Thanks to Lily for suggesting this piece!